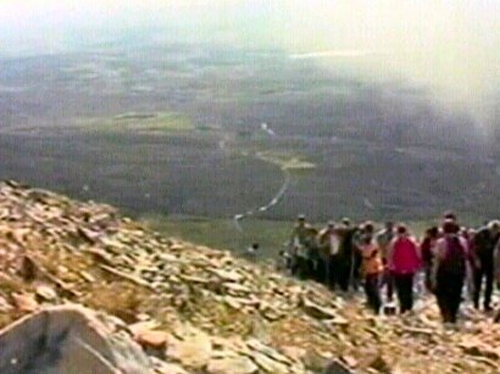 In excess of 30,000 people climbed Croagh Patrick in Co Mayo today during the National Pilgrimage to the mountain. Climbing conditions were good although some people suffered minor foot injuries and one man who suffered a suspected heart attack was airlifted to Mayo General Hospital. 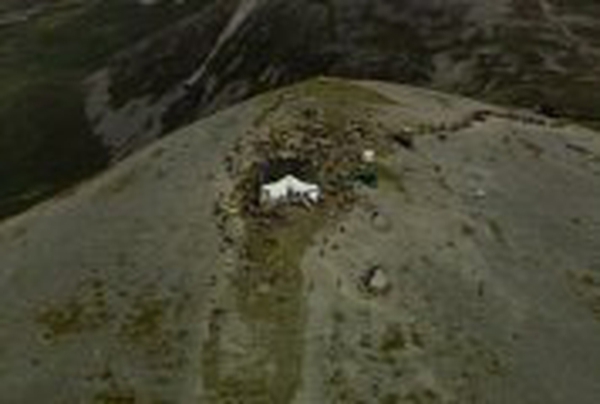 Mass was celebrated on the summit every hour from 8am to 2pm. Earlier, the Mayo Mountain Rescue Team called on all those intending to climb to be mindful of the weather conditions, and to bring suitable clothing. An estimated 20,000 people took part in the annual pilgrimage last year. They had to endure some of the worst weather conditions in recent years. Many people still complete the mountain climb in their bare feet.